Customizable communications solutions with your dental practice in mind. If you are like other dentists, you rely heavily on your phone system. Voice over Internet Protocol, or VOIP, is a scalable phone solution that comes equipped with options that can save your organization a lot of time and money. Many dentists are switching their traditional phone systems over to VOIP solutions and experiencing dramatic benefits. VOIP is a revolutionary tool that streamlines all communication solutions through an Internet connection, providing dental offices with premium features at a fraction of the cost of traditional telephone plans. Providing dentists with comprehensive hosted communications solutions. 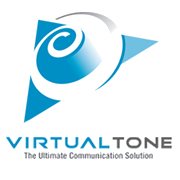 VirtualTone is a company that specializes in communication technology solutions. No matter how large or small your dental practice is, VirtualTone has a phone solution designed just for you. With a VirtualTone solution, you don’t just get a new phone, you get a brand new communication experience that is sure to transform your dental office. VirtualTone solutions also come with customized installation. Our team at Digital dental Systems will analyze your current communications system, install the VirtualTone solution, and maintain it to keep your business communications always flowing at maximum potential. VirtualTone will also cut your overall communications expense. There are no user-based fees or long distance charges acquired among your users in different locations. With a VirtualTone solution you’ll save time and money, while increasing the overall efficiency of your business communications. Win-win! Business is more mobile than ever before. Enhance your company’s mobile communication abilities with VirtualTone’s multiple ways to keep you connected to the office, no matter where you are. With VirtualTone your dental practice can experience freedom from the old Private Branch Exchange technology that’s keeping your employees tied down to their phones in your office. miss another important call just because you’re away from your desk, and don’t be tied down to your desk waiting for that call. Experience communication freedom! VirtualTone solutions are available for companies operating on any scale. All packages include 100+ standard features, and more as your business needs increase. Many different packages are available so we can grow with your company at minimal cost to you. VirtualTone offers an extensive line of business grade telephones and headset devices. Telephones from Polycom and Panasonic ensure vocal clarity, and integrate with all VirtualTone features. Jabra headsets provide extended mobility to the VirtualTone experience. Call Digital Dental Systems to learn more about available products.